The riffling hitch was originally designed for anglers in search for the Atlantic salmon. The method is used on a small scale on salmon rivers around Europe but compared to its success it should be used much more than it actually is today. It is one of the best methods to catch salmon and every angler intensively fishing for salmon should have a box of hitch flies in different sizes ready on every fishing trip. We all know that whatever sports we do, there is a huge difference if we can do it the way we can enjoy it and feel comfortable while doing it. The right clothing for right conditions can be sometimes tricky to pick, sometimes even impossible. There are some basic rules people should remember or know, so they can focus on fishing and feeling good while doing it. There are people that love to put their butts in harm’s way and maximize the uncomfortable feeling for some reason. Then there are people that just love to be right about everything they do, no matter what you tell them. They keep on doing stuff that worked well 30 years ago, because there were no alternative options. Times change and so do options to choose right products for you and me. Our first trip to the Indian summer in the East of Canada took place at 11th of October 2013 by traveling from Amsterdam to Iceland, and from Keflavik to Halifax in Nova Scotia. For us a perfect choice with an excellent time schedule, at least when you want to travel in an easy and most relaxed manner. My long affair with the monstrous Chinook salmon of the South Pacific Ocean started seven long years ago. I was taking pictures with my great friend Marcelo Duffloq. Marcelo had shown me the myriad lakes and streams that surrounded his beautiful home at Estancia de los Rios in one of the wilder corners of Chilean Patagonia. Invented by the legendary Stanley Bogdan of Nashua, New Hampshire in the 1950, it is one of the most sought after fly reels in the world. Unlike many other handmade reels, they are also highly functional, and hold a special connection to the huge salmon of Norwegian rivers. The Classic salmon fly challenge is a fly tying competition organized by Helsinki Spey Clave in cooperation with Chasing Silver Magazine and competition sponsors. As a guy who likes soccer, my favorite color is red, the color of the one and only FC Bayern München. The reason is simple and obvious. I grew up in Munich, and the city still is my hometown. A long time ago the Netherlands was a rich salmon and sea trout country, but that’s no longer the case. Nico de Boer is Dutch and could only dream of these silvers. So he depended on fishing trips abroad. Since his first salmon, now 35 years ago, he has fished more than 40 salmon and sea trout rivers. 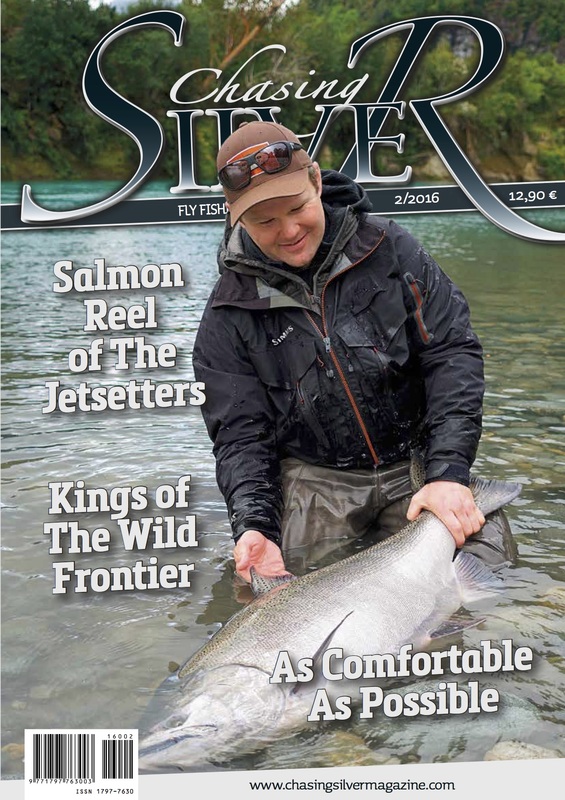 In one of his lectures for fly fishing clubs, Nico was asked to tell a few anecdotes from his wide experience for the audience and for a story for Chasing Silver Magazine.